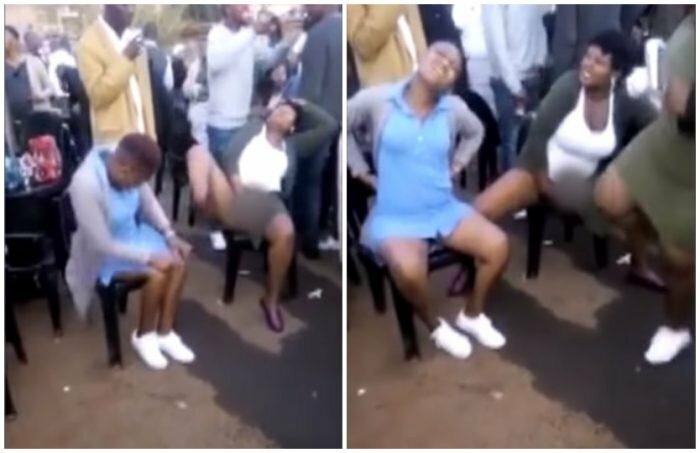 Some women who were obviously drunk have a commotion after they began to pleasure themselves publicly in front of others. Three women who were visibly drunk women were acting quite weird in public when they were recorded on a cell phone. The horny and drunk trio seem to have wanted a poke, as they danced and masturbated with no sense of shyness at a party. According to Daily Sun SA, the video is believed to have been shot at a party in Pretoria and it is nothing short of explicit. The behaviour of the women in the video has been strongly condemned by cultural experts, mothers and the elders who have seen the video doing rounds on the social media. An elderly woman from Bramley, near Alexandra in Joburg said the young women of these days have lost morals. “Women of this generation are an embarrassment and one sometimes wonder if they grew up in the homes where they were taught morals and values,” she said. She said she was disgusted when she saw the video and she would never allow her daughters or girl children to return home if they were seen on such videos. Another mother, Portia Mohale (47) from Alexandra north of Joburg said it is so shocking to see what children especially girls are doing. “Life has changed compared to the olden days where women used to respect their bodies. “No woman in their right mind would do anything that I saw on the video. This is just unacceptable and parents must try to teach their children manners. Cultural Expert Refiloe wa gaKhunou, from Alexandra said the degrading of cultural values and morals among African home has been a leading role in the disgracing behaviours of young people across the continent. “The behaviour of the woman in the video is regrettable and parents of those children must be ashamed for bringing up such kind of children in the society. Those young women in the video lack morals. Refiloe said it is an unfortunate situation where we see such kind of behaviour going on in our society. “The future of our children is uncertain as we don’t know what they will be taught as the mothers to the children of tomorrow are in such embarrassing corners, he said.